South Florida is truly one of the most cosmopolitan areas in the United States, with visitors and residents from around the globe. We also have thousands of people with dual citizenship or who own assets in foreign countries. But what happens to these assets if you get into financial trouble and need to file for bankruptcy? As many of our regular readers know, in a Chapter 7 bankruptcy the trustee will sell nonexempt assets and then use the proceeds from the sale to pay off unsecured creditors. Obviously, the more assets a person has the more money creditors will receive. Does this mean you will lose these assets if you file for bankruptcy? And can you choose not to report them? There is a common misconception that if an asset isn’t located in Florida (or the U.S.), then a debtor does not need to list it on her bankruptcy petition. Actually, debtors must list all assets, and they sign their paperwork under penalty of perjury that they have made a full disclosure. So if you own a house in Venezuela, you need to list it. The same goes for condos in Canada, cars in Germany, or any other asset you have offshore. As experienced South Florida bankruptcy attorneys, we carefully question each client about what assets they own. Of course, some might be exempted, which we will also analyze as well. However, our clients cannot file an incomplete or false petition with the court, so we must include all assets. Some people have tried to hide assets from the court and their attorneys by moving them offshore. Assets like cash or investments are easiest to move. However, doing so can expose you to a possible prosecution for bankruptcy fraud. Conviction carries serious punishments—up to 5 years in jail and/or a $250,000 fine. The judge will also dismiss your bankruptcy petition. Don’t count on the trustee failing to uncover assets. The trustee can look at your bank records and tax returns, which might contain information that tips him off that you have large assets elsewhere. Also, someone you know might snitch to the trustee. It is always best to follow the law and disclose everything. If you have foreign assets that are not exempt, then the trustee will probably move to sell them. However, this can be inconvenient if the asset is a physical one like a car or a piece of property in a foreign country. 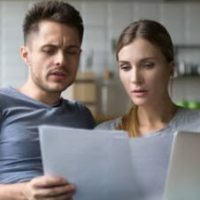 For this reason, your Chapter 7 bankruptcy might go slower than it otherwise would if all your assets were in the United States. To understand precisely how you will be affected, you should schedule a consultation with an attorney. At Nowack & Olson, our Plantation bankruptcy lawyers act as advisors to many financially-strapped debtors, including individuals and small or family businesses. For more information, please contact us to schedule a free initial consultation by calling 888-813-4737. We can review your foreign assets and advise you about the best path to financial freedom.